Epitomizing modern sensibilities with its fantastic materials, and vintage-chic design; the Luxe Collection means business. 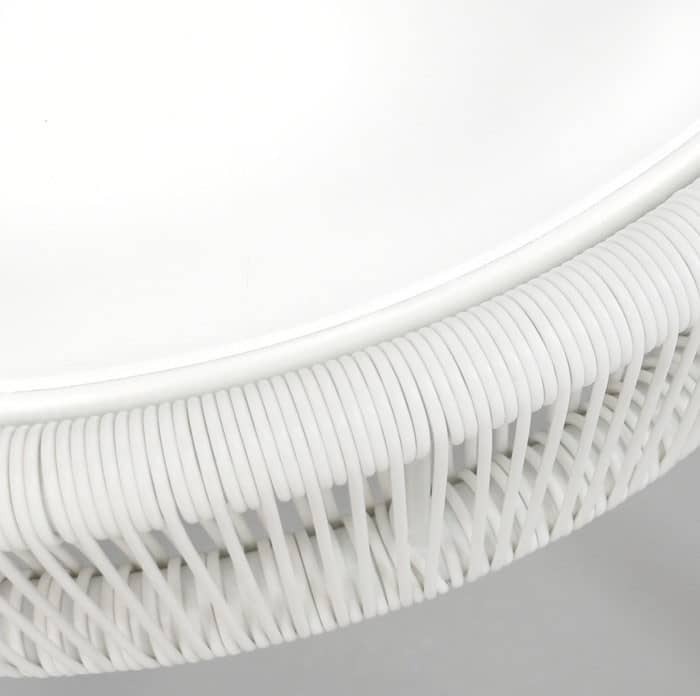 The Luxe Outdoor Accent Table in white may be the smallest piece in the collection, but it still packs a punch! 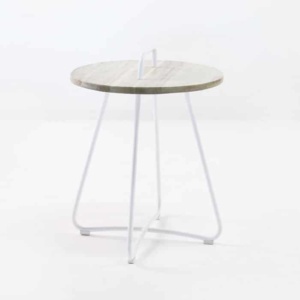 With a gorgeous round table top supported by three aluminium legs, this attractive table in stark white can fit in many areas, supporting the greater Luxe Collection, or alongside other pieces inside or out! The Luxe Collection incorporates art deco, 70’s vintage and modern fashions into one simple, chic and unique suite. Choose from a glamorous range of pieces to suit your space. 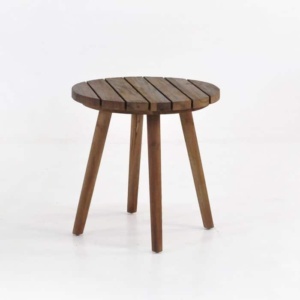 Each piece is designed to be lightweight and airy; a minimalistic vibe that suits a great manner of spaces! Luxe features a rounded Powder Coated Aluminium frame and high-density polypropylene Ecolene® Weave, so you are getting attractive without the expense of quality! Try the Luxe Outdoor Accent Table (White) nestled in next to your Luxe Outdoor Relaxing Chair for the perfect morning coffee setup on your deck or balcony! 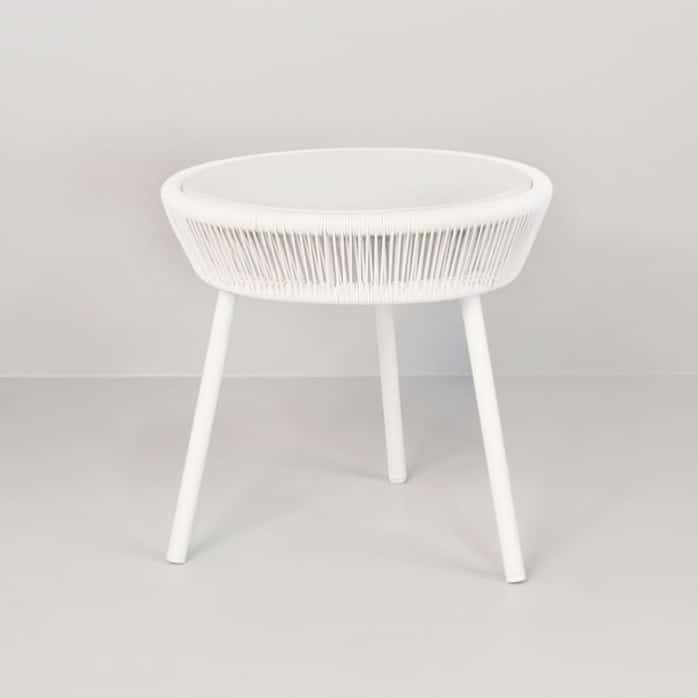 Perhaps your interior is in need of some attention; why not bring the Luxe Outdoor Accent Table (White) inside as a funky alternative to a lamp table? Its simple, chic design has people coming back for more! Is your poolside deck looking a bit bleak? Line up 3 of the Luxe Outdoor Daybeds with 3 complimentary Luxe Outdoor Accent Tables for a straight out of the resort feel! Luxe is a fresh, exciting range from Design Warehouse. Call us today to turn your dream outdoor living area into a reality!